Michael McGurk was the son of Alice McGurk. He was born about 1886 in Pomeroy, County Tyrone. He was one of at least three children. The family moved to Belfast. Michael McGurk and Mary Ellen Bloomer were married on 6th June 1909 in Belfast. They lived in Norfolk Street in Belfast. Michael McGurk enlisted in Belfast, joining the Leinster Regiment. Private McGurk later transferred to the Labour Corps. 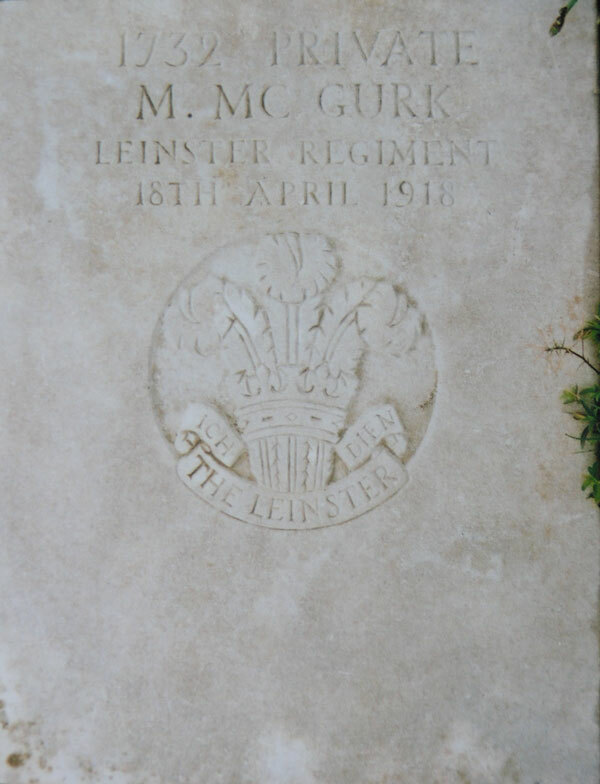 Private Michael McGurk was serving with the 712th Company of the Labour Corps when he died of his wounds at Wimereux on Thursday 18th April 1918. Michael McGurk was the son of Alice McGurk. Michael was born about 1886 in Pomeroy, County Tyrone. He was one of at least three children. Family: Alice McGurk, James McGurk (born about 1881), Mary McGurk (born about 1884), Michael McGurk (born about 1886). The family moved to Belfast. The 1901 census lists Michael as age 15, living with the family at house 14 in Lanark Street, Woodvale Ward, Belfast. He had left school and was a general labourer. Michael McGurk and Mary Ellen Bloomer were married on 6th June 1909 in Belfast. It is believed they may have gone on to have up to four children, although this cannot be confirmed currently. The 1911 census lists Michael as age 25, living with his wife at house 53 in Norfolk Street, Falls, Belfast. He was a flax rougher. Two of his brother-in-laws were also living with them. The 1911 census also records that his mother and sister were living at house 46 in Norfolk Street, just a few doors away. Michael McGurk enlisted in Belfast, joining the Leinster Regiment, Regimental No. 1732. 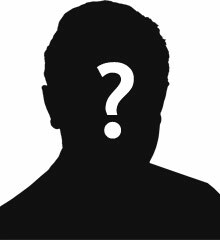 There is some confusion regarding this as his National Archive medal card states he joined the Leicestershire Regiment. This seems unlikely. Private McGurk later transferred to the Labour Corps. In early April 1918 Private McGurk was seriously wounded and taken to hospital at Wimereux. Private Michael McGurk was serving with the 712th Company of the Labour Corps when he died of his wounds at Wimereux on Thursday 18th April 1918. Private Michael McGurk is buried in Wimereux Communal Cemetery in France. Oddly he is listed on his headstone as being with the Leinster Regiment. The CWGC record Private Michael McGurk as the son of Alice McGurk of Belfast. He is also recorded as the husband of Mary Ellen McGurk of 61 Norfolk Street, Belfast.